BTW, my apologies to germanprof for stealing "flash sale." I think I was just repeating the words some label used in their email. Not trademarked. Via email: Sunna Gunnlaugs Flash Sale, all NYOP. NYOP for 24 hours on Lowercase Noises. "Greetings! To make room on our shelves for some beautiful new music in 2013 we're offering 50% off select CDs and downloads in the 12k shop. The sale lasts from today until midnight on December 31st. Ring in the new year quietly... and may 2013 bring you peace and creativity." Some great deals on some stellar music here. I have two thirds of these already. As I read this I am half way through playing that Sean Smith album on CD. I recommend it. 50% off downloads at Projekt with code: harleybunny. Until Monday night. Not bandcamp but: Sir Richard Bishop's solo albums all available free at http://deliradio.com/sir-richard-bishop - till 9/1 only! Thanks, amc2 - new to me but sounds nice. Starting now through Wednesday (3/16) all of my music is free on Bandcamp. I don't do this very often, so I want you to take advantage of it! If you're missing any Lowercase Noises releases, now's the time to get the whole collection. Pay what you want for everything! Also, feel free to share this with anyone who you think will be interested. Let them know they can grab everything before the prices go back up on Wednesday! 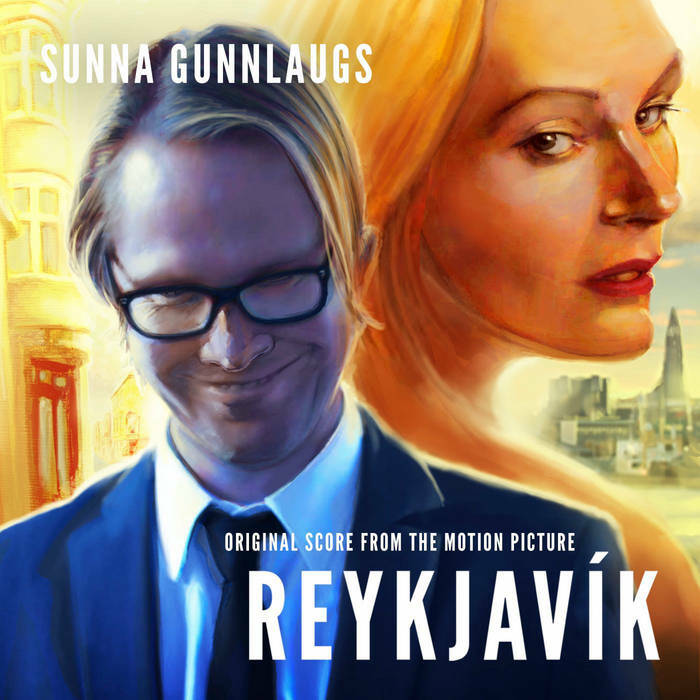 Sunna Gunnlaugs - "Reykjavík (Original Motion Picture Soundtrack)"
I've only listened to the first two tracks, and they both sounded pretty great. And besides, I'm not sure I've ever heard anything bad by Gunnlaugs, so this is a pretty safe bet. Here's the link to her Bandcamp page. To celebrate the summer solstice we're doing a 30% off sale for the next few days. This includes all physical and digitalreleases in our Bandcamp shop, including some rare out-of-print LP's from our archives and the 10-Year Anniversary Hybrid-Vinyl Series (only around 15 copies left). Dekorder records - 30% off all catalog until June 30. Thanks for the info on the Dekorder sale. I took advantage of it to pick up the 10 year Anniversary set. To celebrate the launch of the new site we're having a 30% off sale on the 12k catalogue for the remainder of August. Just visit ourWeb Shop or Bandcamp page and use the code new12kweb for the discount. 12k sales always feel slightly frustrating. I think "oh, cool" and then realize I already have most of their catalog. Dronarium is celebrating its 40th release with a 40% off sale at bandcamp until September 30. It seems that rather than there being a code, the prices are already reduced (digital albums are 4 Euros). This is one of my favorite labels. Is there any currency conversion charge for buying something overseas? I couldn't find anything on the Bandcamp FAQ site page. For instance, if the foreign currency shows a conversion to US Dollars of $6.74... is that truly all I'm going to pay or will that get bumped up by some (I'm making this part up) $5 conversion surcharge? I don't believe there are any extra charges for currency conversion. I can't remember the specifics, but I'm pretty cure I've purchased music priced in GBP on Bandcamp without any such issues. different rate than Bandcamp, but the difference is usually just pennies. For example, if Bandcamp is showing $6.74, then PayPal may show $6.80. Often, your pay service will show you the final amount before you commit. My credit card company charges a conversion fee if it is US$, I am OK with that card with Euros, simply because that is one of the perks of that card - may sadly change after Brexit... Perhaps I ought to use PayPal to pay there. All Marcus Fischer bandcamp releases are NYOP until the new year at bandcamp. Enter "ovalbday" at checkout. Only for 24 hours.